Ray Collins, who is leading Labour’s inquiry into the relationship between the party and its affiliated trade unions, clearly takes criticism on board. 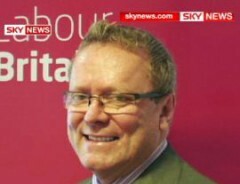 Within hours of criticism from LabourList that party members were being left out of the consultation process, he circulated an email to party members thanking them for “hundreds of written submissions” which he claims to have read and which he says “have helped to inform” the report he will deliver to Ed Miliband ahead of a special national executive committee to consider it on 4 February. His original consultation document was written as if there was no choice but the sort of change Ed Miliband had proposed — as a knee-jerk reaction to what he thought was going on in Falkirk (but does no longer) — and all questions were about how rather than whether it should be implemented. We know that all affiliated trade unions, even those most associated with the right of the party like USDAW and Community are very unhappy with what’s being proposed. They see Ed’s proposals as an attack on the trade union link. So surely do most people who want to strengthen that link. We understand that NEC members who have read through submissions take a very different view of the submissions as far as the union link is concerned, and also report that there is almost no support for primaries. There is only one way dispel any doubt about what the party thinks. Publish all the submissions on membersnet. Then we can judge for ourselves. When are we going to give attention to the working class? If HQ says this would be too much work,then at least they could publish the responses from Branches and CLPs.LabourList should make this demand and on past practice it might happen! !Otherwise members will draw the conclusion that this was yet another phoney consultation,yet another con trick. Ray is right, the general feeling is that things must change; the status quo is no longer an option. Something as big as refroms of trades union links is even greater and more permanent than the election of a leader. Changes should therefore be voted on. This should be done actually as one member one vote. This method would be good for any constutional change. I think unions members should vote themselves on whether they want an opt in or out clause. Remembering of course that their benefits are all owed to the trade union labour link in terms of lobbying and legislation. Even if they vote for another party (irrational in my view), surely they owe a sub to Labour anyway for legislating the will of unions for their benefit?